Not sure how to get started with your fundraiser? Follow these tips to help you start planning. 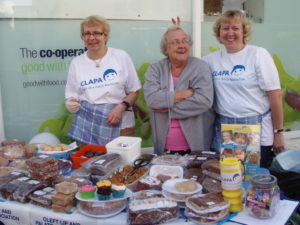 Thank you so much for considering raising money for CLAPA. Our vital services supporting families like Rachel’s are only possible thanks to the generous donations we receive from kind individuals like yourselves. This is your opportunity to get creative! 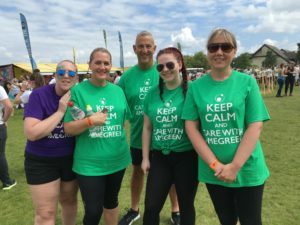 Whatever you’d like to do, our friendly fundraising team are committed to supporting each and every one of our fundraisers every step of the way. 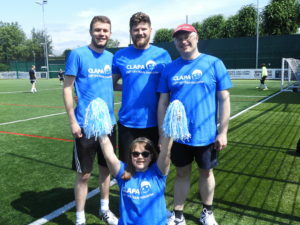 Here at CLAPA we have a friendly and dedicated fundraising team that is happy to help you every step of the way! We have recently created a new Fundraising Pack to help guide you through putting on your own fundraising event- however you decide to do it! You can request a free ‘Little Guide to Fundraising’ from the order form below. This pack will help to guide you every step of the way on your fundraising journey. They can be sent to you via email (as a downloadable PDF) or via the post. CLAPA is also happy to provide free materials and resources for your event. Information about this can be found inside the Fundraising Pack, or here. If you haven’t made your mind up yet, you may find some inspiration with what other fundraisers have done previously. Check out our Fundraising Stories to read how they got involved. You can be sure that your donation will provide essential support for the cleft community. Just £20 could provide a ‘Welcome Pack’ for a family of a newborn baby with a cleft. This pack includes specialist feeding bottles and teats, along with important guidance and information about the path that lies ahead. However much you raise, you can make a real difference. If you would like more information about how you can get involved, please contact our Senior Community Fundraiser, Rosalind Mason, on 020 7833 4883 (ext. 206). If you are taking on a sporting challenge, such as a bike ride or obstacle course race, please contact Nicky Davis on 0207 833 4883 (ext. 208).